Robert Edsel had a story I had never heard before: between 1939 and 1944, Adolf Hitler had plundered Europe, “repatriating” millions of works of art to Germany, including masterpieces by Michelangelo, Rembrandt, van Eyck and others. It took a small group of people—about 350 in all—more than 30 years to undo the devastation. Robert had conducted fifteen years of research on these “Monuments Men,” interviewing those still alive and descendants of many others. He had thousands of pages of material: he just needed help turning it into a book. We immediately set about chopping the massive story down to size. Eastern Europe had to go. So did the work after 1945, when 90% of the 350 people joined the effort. Even Italy and Southern Europe were stripped away. In the end, we focused on the nine months in Northern Europe between D-Day and V-E Day, when millions of artworks were in danger of destruction…and the Allies had less than fifteen people working to save them. 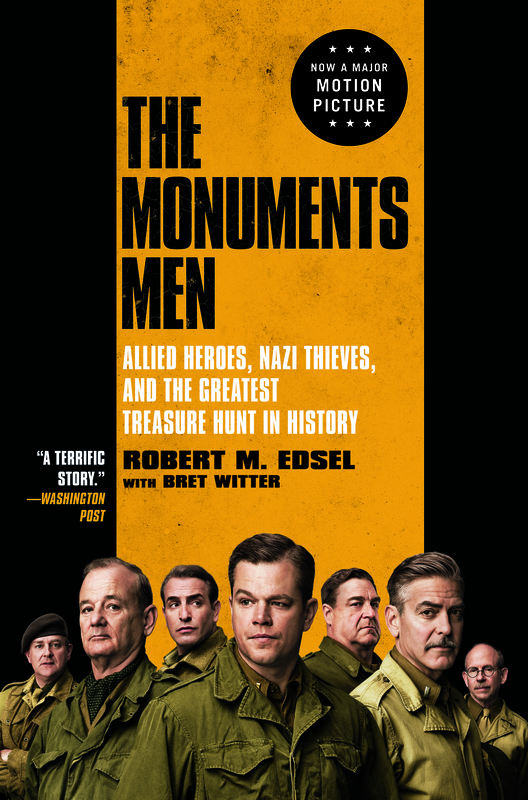 The Monuments Men is the story of the nine heroic soldier-scholars who were on the ground with the troops—and the one extraordinary French woman who had risked her life every day for four years to compile the key information they needed. It was hard for Robert to cut out so many Monuments Men, because he knew and loved them all. But the story we found was not only emblematic of the whole effort, but an action-packed real-life treasure hunt, with a shocking twist at the end. 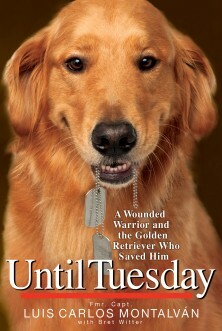 This was not an easy book to write. Even with a sharp focus, the story was complex and sprawling. But by digging deep on a small number of people, we were able to bring them to life with journal entries and letters home. And by highlighting a couple key moments when history could have gone very differently—especially at Altaussee, a salt mine in the Austrian Alps—we were able to show what the Monuments Men were fighting for: nothing less than the survival of our shared artistic heritage. I wish my execution at point had been a bit better: the third person narration is sometimes too close, and the prose too purple. With this many storylines, the structure needed to be as simple as possible, and sometimes it isn’t. Robert didn’t want to write a traditional history, where you sit back observing from a distance. He wanted readers to feel what it was like to be there. We had the source material to pull it off, and I think we created a unique—and uniquely compelling—book, but occasionally, I fear, I took it too far. But knowing how much work Robert and I put into this project—I would estimate Robert’s overall effort on behalf of the Monuments Men to be at least 50,000 hours over twenty years—and how many smart decisions we made to create a real-life thriller that is historically accurate and emotionally compelling, I have nothing but pride in our accomplishment. Robert had one goal throughout the project. He wanted a million people to know about the Monuments Men, because he thought understanding what they embodied—the value of culture, the power of personal sacrifice—would make the world a better place. Thanks to the George Clooney movie based on the book, we reached that goal. Hopefully, the world is a wiser place for it. 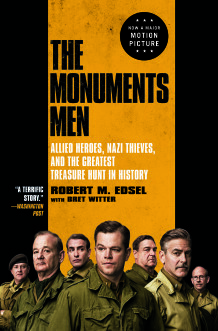 Whether you’re a fan of art, military history, or stories of real-life heroes, The Monuments Men is worth the hunt. 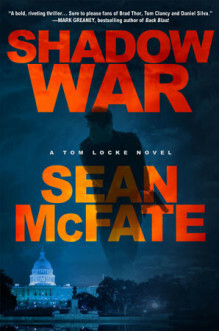 In the great storytelling tradition of Stephen Ambrose, [this] book is a thriller, in the style of Indiana Jones, but in this case it’s all fact and great history. 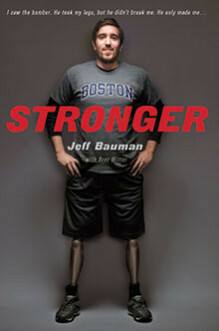 I read the book from cover to cover—couldn’t put it down.